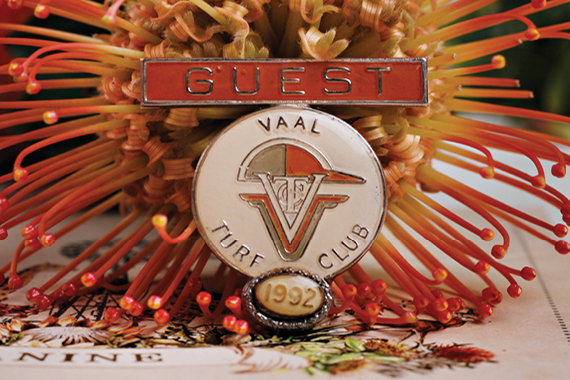 In South Africa we are proud of our heritage and all the elements that makes our country unique and special. 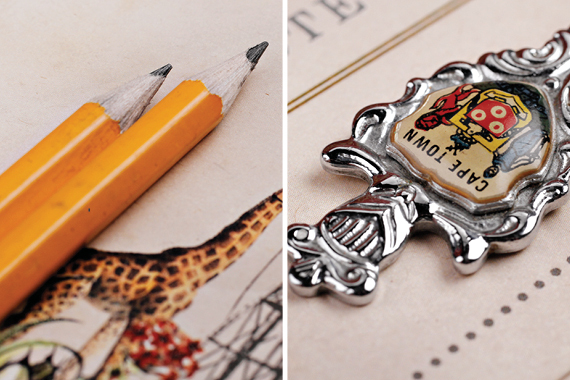 Joanine made the wonderful choice of using this as inspiration for her 21st invitation. 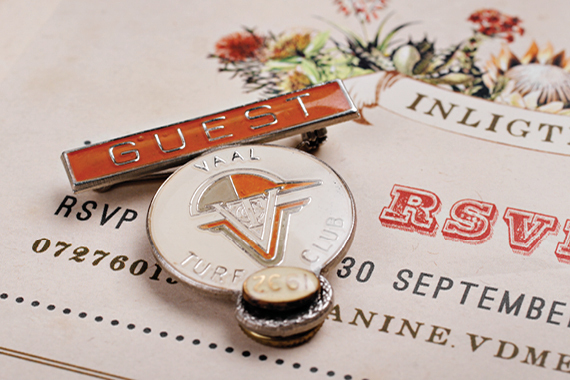 Using a broad theme like this is an excellent idea for your wedding as it helps you to think outside the box and also channel your ideas towards one theme. 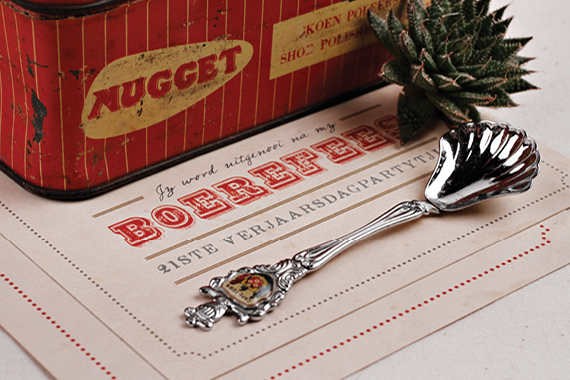 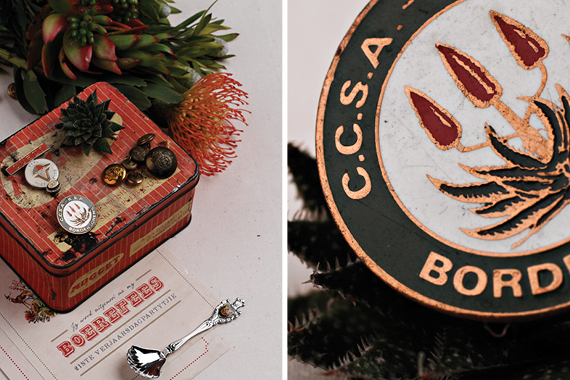 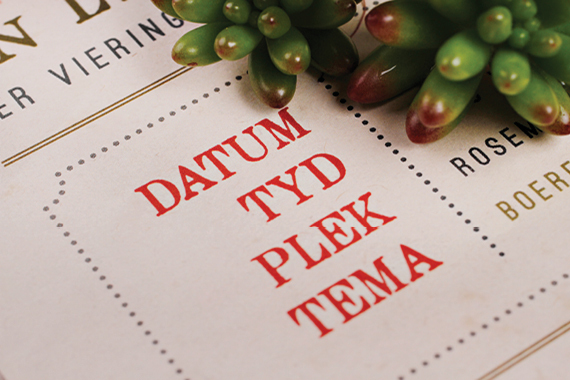 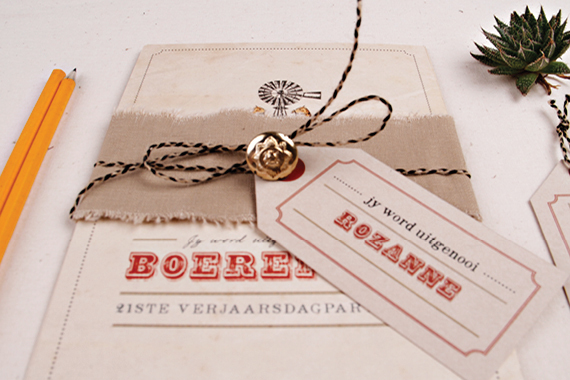 This invitation designed by Chrystalace wedding stationery draws its inspiration from her Afrikaans heritage. 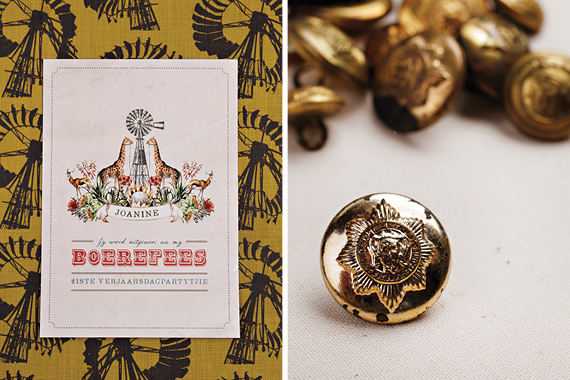 These nature inspired elements are also seen in button, badges, material sleeve and type of paper which also complements the retro and vintage elements of the invitation. 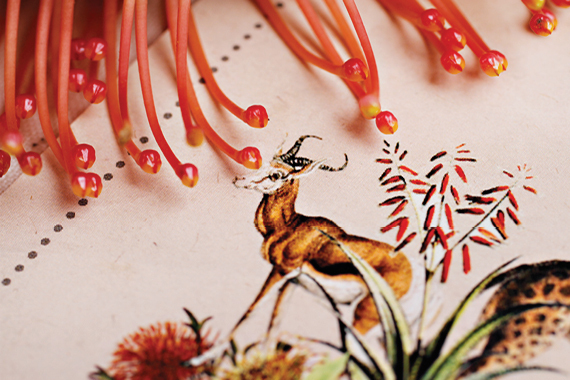 The colour palette chosen for this design includes different oranges and sap green hues and khaki tones. 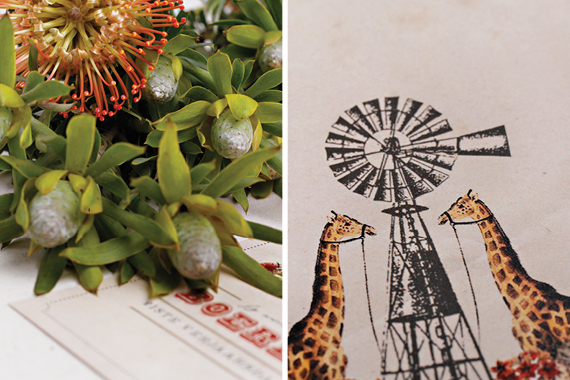 This adds to the invitation’s natural feel and complements the bold animal figurines. 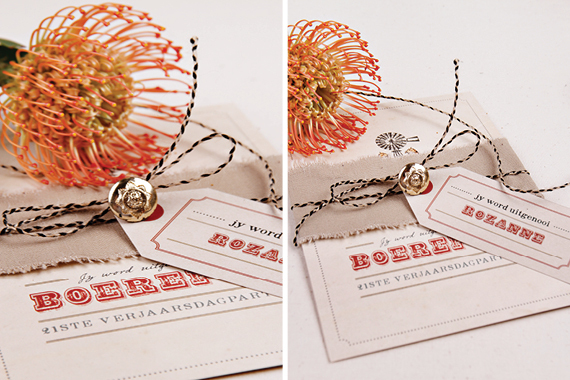 This invitation showcases how one can infuse the natural setting of your special day into your stationery in a fun and striking way. 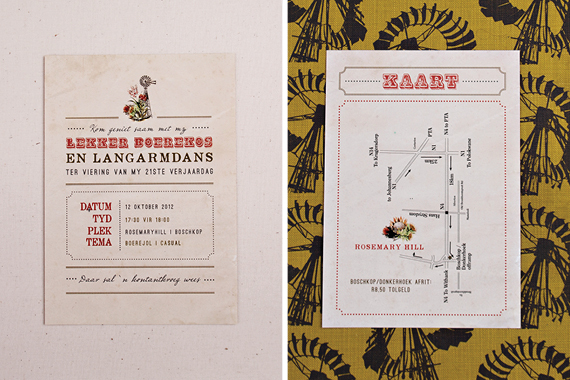 Have a look at images of this special invitation. 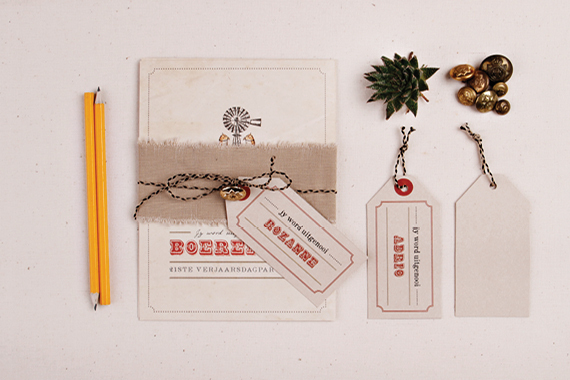 Designs and photographs by Chrystalace Wedding Stationery.